Ever since I started ZEGO, people have been asking me to create a savory flavor for our organic line. I’ve been pondering on this on and off for years. What would complement what we have but be a distinctly different and delicious flavor? And, what ingredients could I add to it that would be soothing to the belly and promote the health of my customers? The answer struck me on an unusually warm Spring day, as I was preparing my breakfast — ginger tea with scrambled eggs, spiced with turmeric and pepper. I had started including ginger and turmeric daily in my diet when I read about their healing properties. Ginger is wonderful for soothing your gut and ginger and turmeric are two of the most powerful anti-inflammatory spices around. Every time you eat something that irritates your gut, it becomes inflamed as your body rushes to heal it. If you keep getting exposed to those foods, you become chronically inflamed. That can lead to a host of problems from constipation to IBS to depression and anxiety. 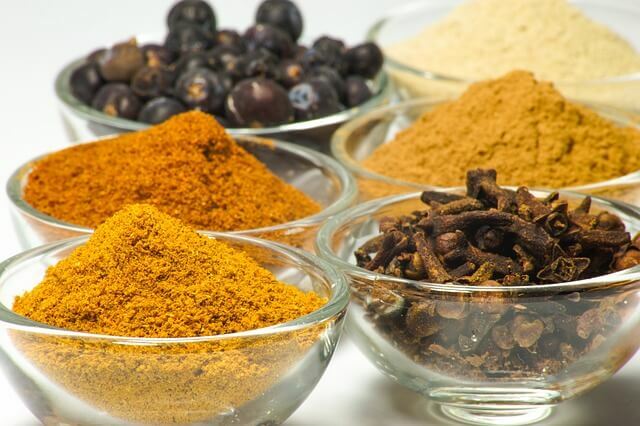 Avoiding everything that can irritate your gut (which would include stress) is nearly impossible, so it’s a good idea to have a long-term, consistent approach to managing it with something natural, like herbs and spices. Regularly consuming anti-inflammatory herbs like turmeric, ginger, cloves and rosemary, can go a long way to helping keep inflammation in check. The best part is that you don’t have to take them as a supplement. A recent study showed that eating them at normal levels used in cooking had significant benefits (see this great video explaining the study). But how do they work? 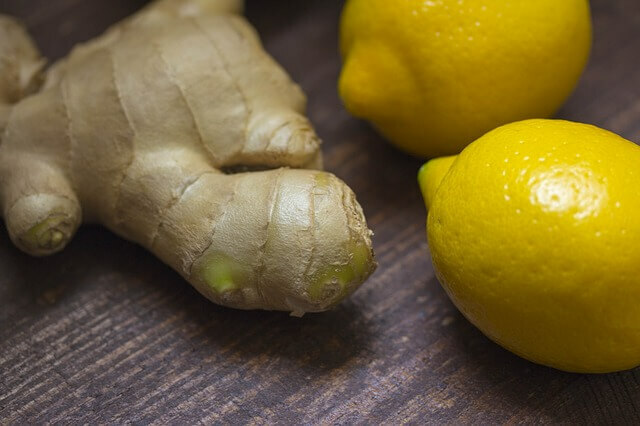 Both ginger and turmeric have powerful antioxidants to fight off free radicals that can wreak havoc on your health and lead to inflammation and disease. But turmeric isn’t absorbed well if you just take a pill or drink it in tea. Black pepper, something it is traditionally paired with in recipes, raises your absorption rate of turmeric by and incredible 95%. And, since turmeric is fat soluble, it is essential to consume turmeric with fat as well. The fresh, minced ginger we use in our new recipe doesn’t require the support team turmeric does. 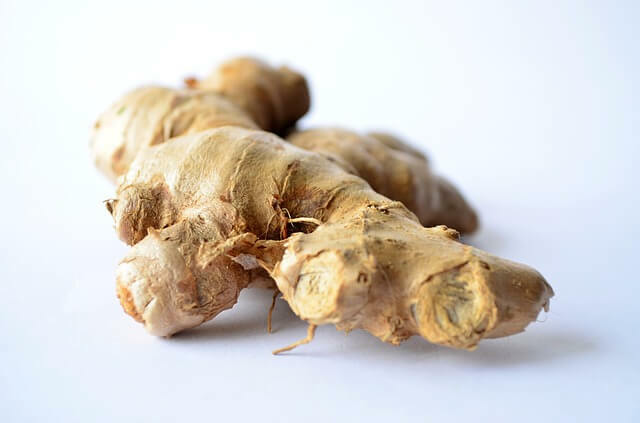 On its own, ginger has been clinically proven to naturally help prevent and treat nausea, infections, ulcers, some cancers (in lab tests), and increase insulin sensitivity. It also helps your digestion move along at a healthy pace. The last part of our secret sauce is organic lemon oil. Lemons have long been valued as essential to health. Lemon oil may be the most powerful anti-microbial of all the essential oils, which would help you fight infection. It also improves digestion, calms the stomach, and promotes weight loss. But to be totally transparent, we mainly added it because it adds a delicious flavor to our new bar. Before you take your first bite, be sure to smell it. The lemon scent reminds me of my grandmother’s lemon squares. So, allow me to introduce ZEGO’s new Lemon Ginger bar. Don’t mind the slightly orange-yellow color from the spices, that’s us taking care of you. TRY ZEGO’s LEMON GINGER BAR NOW!